Even though Ez-Architect includes a ton of patterns, you can also either modify an existing pattern or make a totally new one. First review all the patterns on the pattern bar. Use the Left and Right arrows on the right side of the bar to scroll it left and right. The default position of both the pattern and color bar will always be to the left. So if you haven’t looked before, have a look at both bars to see what you might have been missing. The left side of the pattern and color bars are full of a variety of colors. View a few patterns to see which ones you might want to edit. They look very different and simple in the editor, so it’s a good idea to get a full view of any pattern on the screen before you begin editing. 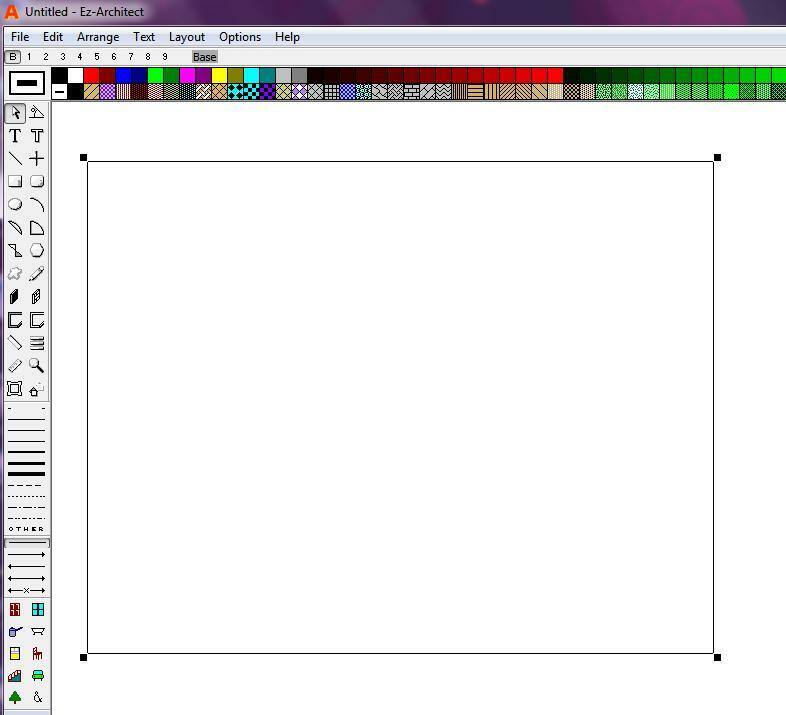 Here’s where you start to either create a new pattern or edit an existing one. Select a pattern from the scrolling bar at the bottom. In this shot I have scrolled so that the pattern I’m editing is at the far left. 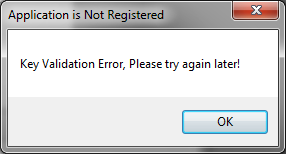 Double-click the pattern to make it appear in the work window. Or select it and click Load. Alternately, you can start from nothing and create a totally new pattern by clicking Add New or Clear. You can start with any pattern and make simple or complicated changes. You will likely need to test your new pattern several times as you edit. But handily, you can see the full pattern in the editor window (to the right) and determine what your changes will look like. Below, I’ve added some light green. First select Color from the menu on the right. 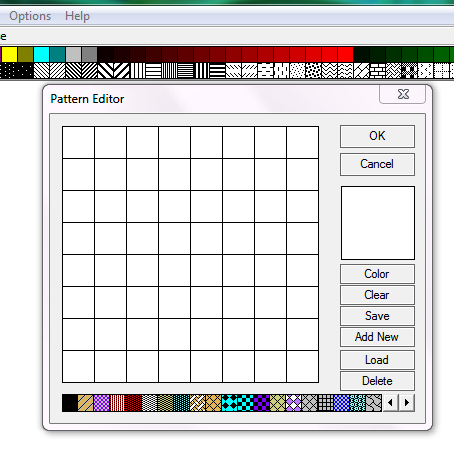 After clicking Color from the menu, you’ll see the color dialog where you can select any color to add to the pattern. Here’s the pattern with Green added. You can see the green in the pattern and subtle changes to the full pattern on the right. Here’s a shot of the changed pattern on the right side of the dialog (not much bigger, sorry). Subtle, in this case, but now the pattern has green. Next, save the new pattern (it will replace the pattern you’re editing) and then you can test it out in your Ez-Architect plan. If this isn’t clear in your browser, be sure to click on it to see the full pattern. Other options in the Pattern Editor allow you to Delete a pattern (select it from the pattern bar, below) or Clear to start over, Add New to create a new pattern, Color to select colors for editing or creating a pattern and Saving to save your work. Remember, if you’re editing a pattern Saving will replace the old pattern. What uses can you think of for creating unique patterns? Next time: Fun with Dimension Lines. What other functions would you like to see me highlight in this blog? The pattern bar in Ez-Architect is obvious, underneath the colors. But the variety it offers is pretty much endless. You can easily modify these patterns by cleverly using colors, but you can also edit them and make your own unique variation. 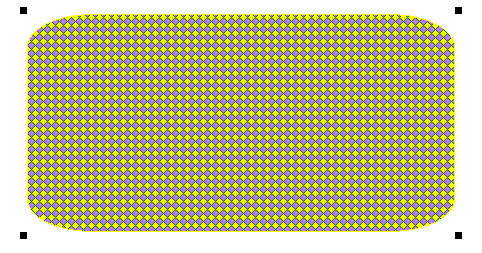 This pattern is the 16th pattern from the left in the color bar. I’ve selected this one because it’s easiest to see that changes since the components are larger than some of the other more subdued patterns. Here’s the default for this pattern. It’s the 16th from the left in the pattern bar. 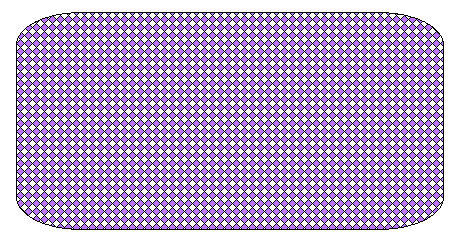 You can easily modify this pattern by using the Control Key along with mouse clicking. 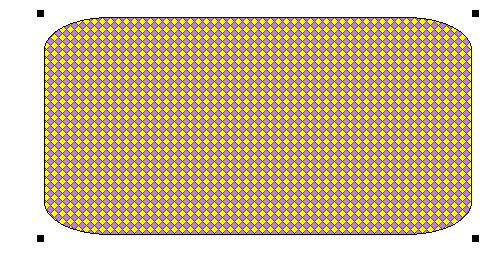 NOTE: if the following patterns look kind of mushy on your screen, click on them to see the true colors (resolution, browsers, etc. may not show you the true colors I have placed here). Control+Left Click on yellow changes one color. Same colors, but different juxtaposition. The difference in these two is that in one we’ve changed the background, in the other we’ve changed the foreground. But they are both lavender and yellow. But look quite different. Now to have some fun, control+right click to change the line color within the pattern. So here we have lavender, and yellow with red lines. Another control+right click changes the line colors within the pattern. Play with the mouse and the control keys to see what interesting combinations come up. Next time we’ll experiment with changing the pattern itself. Although many many patterns are already included in Ez-Architect, it has plenty of room for your own special constructions.